This work constitutes the most comprehensive overview of Indonesian intellectual property law since the substantial legislative changes enacted from 1997 onwards. 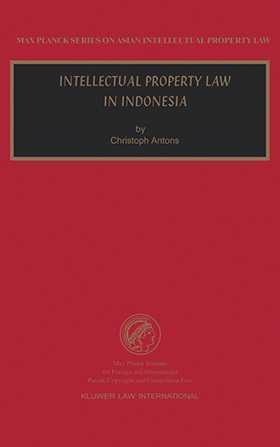 It offers a detailed overview of the Indonesian law and regulation on copyright law, patent law, trademark law, and unfair competition, and analyses the position of Indonesia with regard to the international conventions for the protection of intellectual property. An introduction on the history and development of the Indonesian legal system provides an excellent context for the understanding of the current legislative framework on intellectual property. The book includes in annex authoritative translations of the main laws covering copyright, patents, and trademarks.